Barry Lee Lettie, 88, of Dayton, PA, passed away Wednesday, December 26, 2018, surrounded by his loving family. He was born September 28, 1930, in Porter, PA, the son of Cloy and Kathleen (Travis) Lettie. Barry was a 1948 graduate of Dayton High School and after high school honorably served his country as a Sergeant in the Marines during the Korean Conflict. He worked for Industrial Timber and Land in Endeavor, PA as a General Manager until his retirement in 1995. He was often seen walking his Chocolate Labs, first Choco and then Doc around town. When Doc 2, his Basset Hound, came along there weren't many walks left, but he loved him just the same. He loved being outdoors hunting, fishing and walking a freshly plowed field looking for arrowheads. 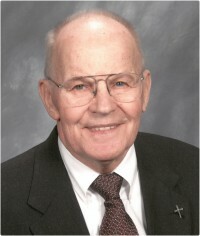 Barry was a member of the Dayton Glade Run Presbyterian Church. His sense of humor and infectious smile will forever be in the hearts of those who knew him. His love and devotion to his family will be felt for a lifetime. He leaves behind to cherish his memory sons, Greg Lettie of Dayton, Scott Lettie of Ligonier; daughter, Kathie Kearney of Indiana; seven grandchildren, Brandy Lettie, Sarah Altrogge, Tristan Lettie, Michelle Lettie, Brian Lettie, Mallorie Fera and Jason Lettie; and eight great-grandchildren. Barry was preceded in death by his parents and brother, Gerald Lettie. Relatives and friends may visit from 2-4 PM and 6-8 PM on Saturday, December 29, 2018, at the Bauer-Bly Funeral Home, Inc, 125 East Main Street, Dayton. Additional visitation will be from 2 PM until the time of funeral services at 3:00 PM Sunday, December 30, 2018, at the Dayton Glade Run Presbyterian Church, 2540 Dayton Smicksburg Road, Dayton, PA 16222, with the Rev. Gene Barrett officiating. Interment will be in Dayton Glade Run Presbyterian Cemetery, Dayton, PA. In lieu of flowers contributions may be made in Barry's honor to Indiana County Humane Society, 191 Airport Road, Indiana, PA 15701.